Leaving Hood River and the Columbia River Gorge we headed south towards the Cascades and the lakes to do some fishing. 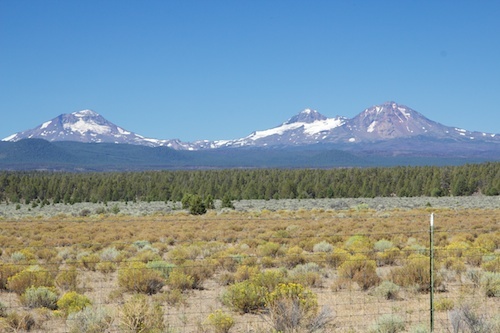 Our route toward Bend skirted the desert areas of Oregon. The varied terrain has been one of the most impressive positives about Oregon. We had already had a taste of the rugged coast at Cannon Beach, and then experienced the vineyards and orchards along the river. Little did we know what awaited us in Sisters. 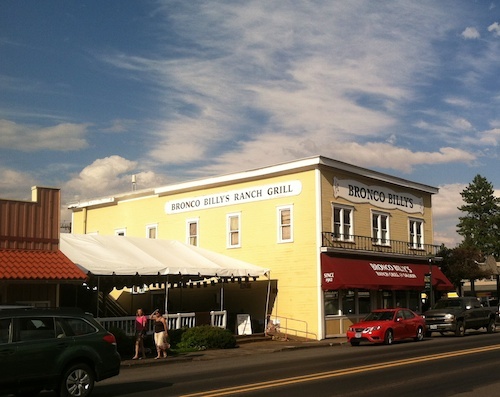 We planned a stop in this small town near Bend because we have a friend who used to live here and highly recommended the area. Again we opted for the small, town RV park. Again, no internet. (No satellite TV or cable, either) However we could walk downtown and the setting was pretty. We expected a sleepy western town nestled at the foot of the three Sisters Mountains. Things have changed a bit since our friend left. 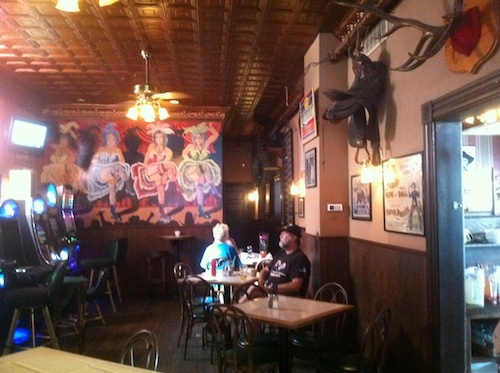 It is still small (3000 or so people) and western, but it has been upscaled and gentrified. Galleries, an organic farmers market, a micro brewery and lots of newer houses have been added to the place. The bar at the old Sisters Hotel was as it always has been and sitting at the bar we met Maggie, an 80-something local, sipping her Bourban, who knew our friend and her parents. We explored the surrounding areas. 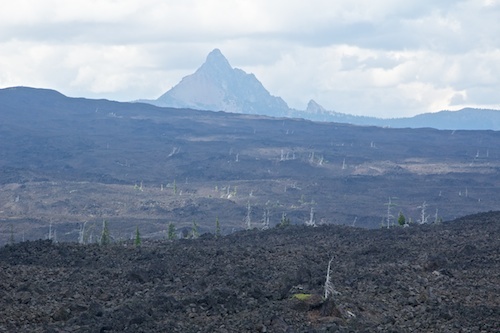 We drove up Mckenzie Pass, through the Deschutes National Forest and discovered the lava fields. Who knew oregon was once a hotbed of volcanic activity? 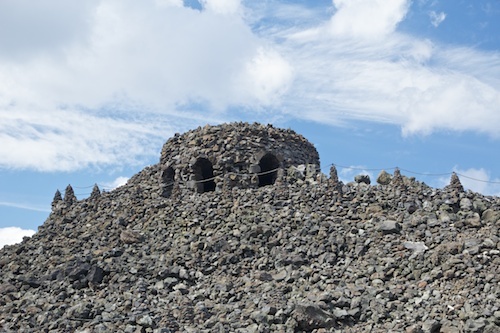 Miles of broken lava flows, and the Dee Wright Observatory, built of the same lava, offering views of extinct volcanoes and mountains as far as the eye could see. It reminded me of those old renderings from science classes showing smoldering volcanoes and the dinosaurs that roamed the land. So, although not what we expected, Sisters was an enjoyable find, slightly off the beaten track. Next we faced eight days in the Cascades, at Twin Lake and Lava Lake. Reported to have good fishing, (but still no internet…are you seeing the trend here?) Hubby was looking forward to not having to look at any more rocks so he could get back to looking for those trout.